The prestigious Mountbatten Award is given annually by the Maritime Media Foundation to the author of the work of literature that in the opinion of the Awards Committee, has contributed most significantly to public awareness of maritime issues. This year 38 books were nominated covering all aspects of the maritime world. Despite this large and highly competitive field of titles The Shipwreck Hunter was the unanimous choice of the Awards Committee. In the award citation the Committee called David’s book “A truly outstanding and unique contribution, laying to rest many unsolved mysteries of the deep”. David Mearns has found some of the world’s most fascinating and elusive shipwrecks, from the deep-water searches that led to him solving the 60-year mystery of HMAS Sydney, and the final resting place of the mighty battlecruiser HMS Hood and the British bulk carrier MV Derbyshire, to the shallow reefs of a remote island that revealed the crumbling wooden skeletons of Vasco da Gama’s 16th century fleet. 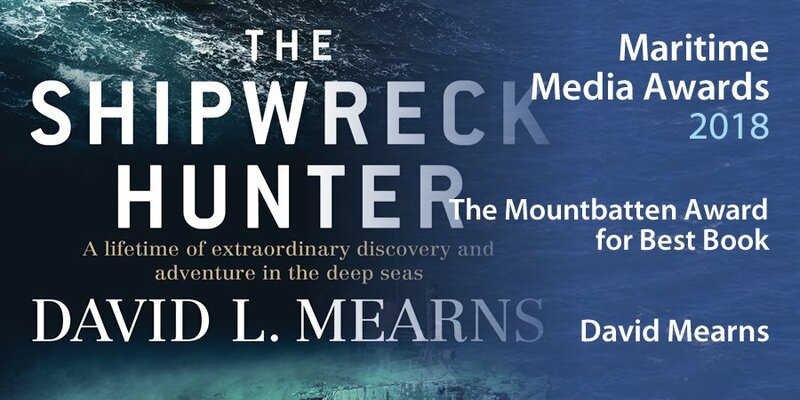 The Shipwreck Hunter is the compelling story of some of David’s most intriguing discoveries. It details the extraordinary techniques used, the painstaking research and the mid-ocean stamina and courage needed to find a wreck kilometres beneath the sea, as well as the moving human stories that lie behind each of these oceanic tragedies. We decided to find the wreck (of DERBYSHIRE) and when you’re looking for deepwater wrecks, there’s only one guy you turn to, and that’s David Mearns. Percy John Christian Willis, a ship’s plumber on HMAS SYDNEY, was lost at sea on the 19th November 1941. When David Mearns found the SYDNEY it was such a relief to know where my grandfather was, and that he was cradled in Australian water. David cares so much about the men who were lost, and the families who remain. He is very special to us. In finding the MV DERBYSHIRE David Mearns did what everyone had said was impossible. He had the hopes, the hearts, the prayers and the belief of forty-four families who for fourteen years had to live with not knowing why their loved ones had died. David has also left a legacy for seafarers everywhere as his evidence had a great impact on ship safety. When HMS HOOD was lost I was a fourteen-year-old school girl. Thanks to David Mearns, we now know where the mighty Hood lies and all who were lost with her, including my father, Ralph Kerr. David has also recovered the bell which can now be seen by my children, grandchildren, great-grandchildren and future generations. I cannot thank David and his team enough. During the lengthy process of discovering the HMS HOOD and retrieving it’s bell, David was the most understanding, thoughtful and caring person towards the bereaved families. With the sinking of the CENTAUR many Australian families could not properly mourn their loved ones lost into the vastness of the sea. When David Mearns (and his team) located the wreck site in 2010 he gave those who perished a resting place that has brought a sense of healing and closure to many old family wounds. My dad lost his three brothers when AHS CENTAUR was torpedoed. As a family we waited 67 years to find her resting place. When David Mearns discovered the wreck of the CENTAUR he helped us, and everyone else affected by this tragedy, in ways that are inexpressible. Modern king of the shipwreck hunters. David Mearns has cemented his status as one of the world’s most successful shipwreck discoverers. Mearns will now command a place in Australia’s military history. In less than two years he has found the wrecks of Australia’s two worst maritime disasters, HMAS SYDNEY and AHS CENTAUR. The underwater worlds of past and present collide in the depths of the ocean in this gripping and suspenseful narrative by David Mearns, a true expert on mysteries of the deep sea. David Mearns OAM, MSc, is a chartered marine scientist, historical researcher, author, and expedition leader of deep ocean projects. He is one of the world’s most experienced and successful deep-sea shipwreck hunters, having located 24 major shipwrecks with an overall success rate of 89%. His formidable reputation has been built on a career finding notoriously difficult wrecks that others predicted would never be found or their mysteries solved. 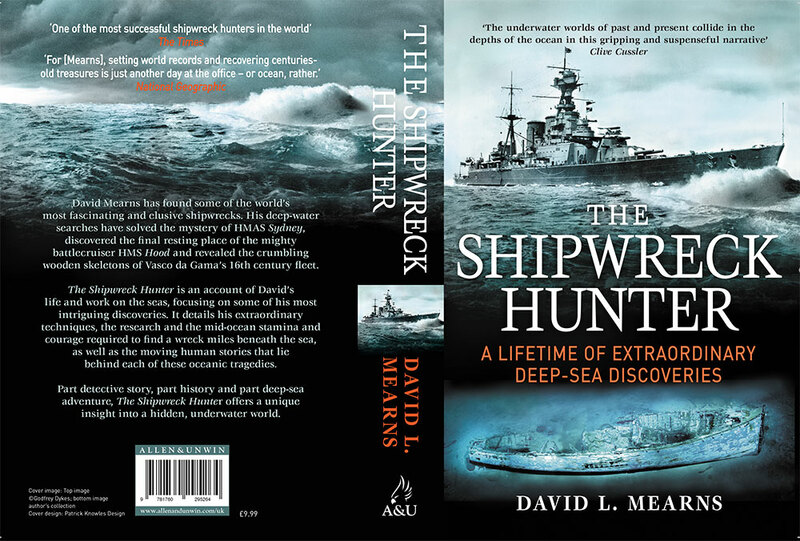 David’s most important discoveries include MV Lucona, MV Derbyshire, HMS Hood, the Portuguese East Indiaman Esmeralda, HMAS Sydney, HSK Kormoran, AHS Centaur, and Rio Grande, the Guinness World Record for the deepest shipwreck ever found at 5,762 metres. David was also a key member of Paul Allen’s team that located and filmed the iconic Japanese battleship Musashi in 2015, based on the research and search area analysis he conducted. 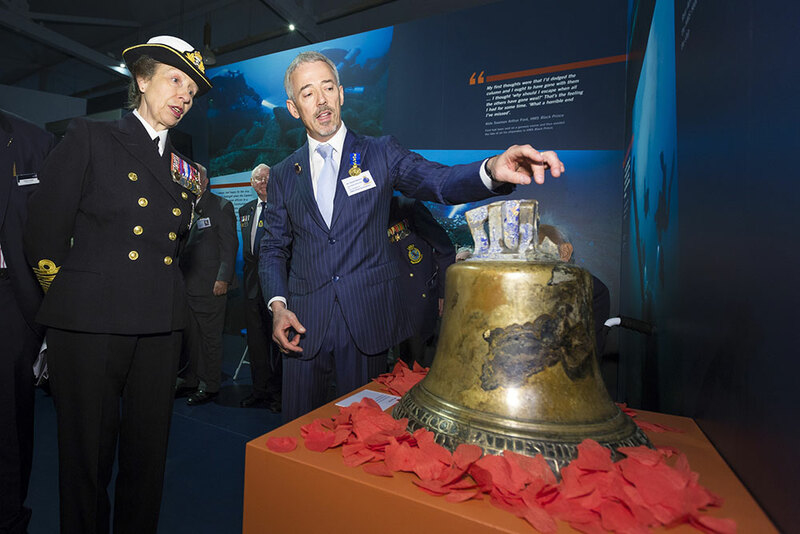 In 2010 David was awarded an honorary Medal of the Order of Australia (OAM) for service to Australia for locating the wrecks of HMAS Sydney and AHS Centaur. In addition to his honorary OAM, David has been awarded a Distinguished Alumni Award from the University of South Florida, a prestigious Maritime Fellowship by the UK-based Maritime Foundation for an outstanding lifetime contribution, the 2015 Sir Robert Craven Award from the Britannia Naval Research Association, and a Seatrade Award for a highly commended contribution to Safety at Sea in relation to finding the wreck of the Derbyshire. 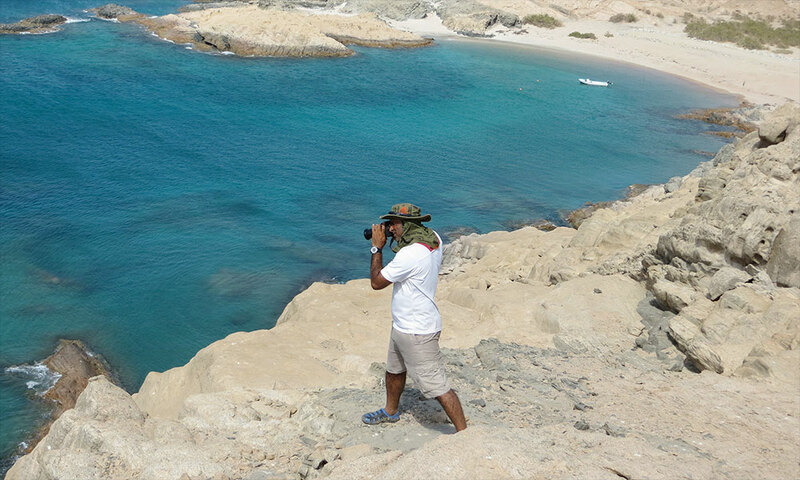 David has worked in all the world’s oceans, and has travelled to more than 50 countries. He is a long-standing fellow of the Explorer’s Club and the Royal Geographical Society. David is currently serving as a Judge for the Shell Ocean Discovery XPRIZE, a global competition challenging teams to advance deep-sea technologies for autonomous, fast and high-resolution ocean exploration. Oman’s Ministry of Heritage & Culture (MHC) in cooperation with Blue Water Recoveries Ltd (BWR) of West Sussex, UK announce the discovery and archaeological excavation of a Portuguese East Indiaman that was part of Vasco da Gama’s 1502-1503 Armada to India. The ship, which sank in a storm in May 1503 off the coast of Al Hallaniyah island in Oman’s Dhofar region, is the earliest ship from Europe’s Age of Discovery ever to be found and scientfically investigated by a team of archaeologists and other experts. Details of the wreck site, published in the International Journal of Nautical Archaeology reveal that the ship is believed to be the nau Esmeralda commanded by Vicente Sodré, who was the maternal uncle of Vasco da Gama and a descendent of the nobleman Frederick Sudley of Gloucestshire, UK.